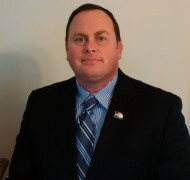 Executive Committee – New England Police Benevolent Association, Inc.
Marty Conway brings vast law enforcement and labor experience to his role as NEPBA Executive Vice President. His strong communication skills and ability to negotiate ‘win-win’ contracts make him an outstanding advocate for law enforcement unions. He has personally negotiated numerous successful public safety collective bargaining agreements. He is currently a Sergeant with the Billerica Police Department in charge of the Traffic Safety Department. He has worked for the Billerica Police Department for 26 years, with the past 19 being a full time officer. Marty has been very actively involved in the Billerica Police Local for over 16 years. He was initially elected to serve as secretary of his local. After serving for 3 years, he became the president of the Billerica Police union and has been for the past 13 years. During this time, he has personally negotiated numerous contracts between the Town and the Billerica Police Union. As a result of his hard work, the collective bargaining agreement between the Town of Billerica and the police union is considered a model contract, which is time and again used by other unions throughout the state. Jerry Flynn is the Executive Director of the New England Police Benevolent Association, Inc. Officer Flynn brings a wealth of knowledge and experience to this position, prior to joining New England PBA, Inc.; Officer Flynn was elected National Vice President of the International Brotherhood of Police Officers (IBPO) and served as Executive Director and Director of Organizing. He also served as a vice president of the National Association of Police Organizations (NAPO) and served on the Board of Directors for the National Law Enforcement Officers Memorial Fund, Inc (NLEOMF) and the Law Enforcement Steering Committee (LESC) in Washington, D.C. In his capacity as a law enforcement labor leader, Officer Flynn was also the Governor’s appointee to the Massachusetts Joint-Labor Management Committee (JLMC) and served as Police Chairman for over five years. The committee resolves contractual disputes between municipal police & fire unions and the towns they serve. Officer Flynn has testified before the United States Congress on a number of high profile issues including the Columbine School Shooting, Collective Bargaining Bill, Patient’s Bill of Rights, The William Deagan Law, C.O.P.S. Program and he was the keynote speaker at the White House on The Brady Law at the request of President William Jefferson Clinton. His riveting speech was published in the Congressional Record of the United States Congress on August 6, 1998 at the request of Congressman Martin T. Meehan (D-Lowell). Bryan McMahon is a valued and respected member of the law enforcement community with an impeccable reputation, who is well known and well respected for his high degree of integrity. At the rank of detective, Bryan was assigned to the Vice/Narcotics Evidence Office and enjoyed over many decades of service. Detective McMahon had also served as the strength coach for the Lowell Police Academy, an accredited regional police academy for area police departments and the University of Massachusetts-Lowell recruits. Detective McMahon later retired in January 2011, after 33 years of service to the citizens of Lowell and the Lowell Police Department. Bryan is also especially proud of his work with the National Law Enforcement Officers Memorial Fund & Museum, a Washington D.C. based organization dedicated to bringing true memorials for fallen law enforcement officers. His efforts were officially recognized in May 2007 where he was named NLEOMF Officer of the Month and was a keynote speaker during said events. 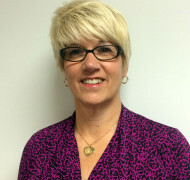 Deborah began her police career in 1983 with the Town of West Bridgewater and joined the Middleborough Police Department in 1985. Prior to this she worked for Norfolk-Bristol Ambulance and later Ambulance Systems of America. She worked in patrol for 13 years and then as the court liaison for four years. During this time she served as secretary of her local from 1988 to 2000. She was promoted to the rank of sergeant in May 2001 and has worked on the midnight shift for a majority of the last eight years. In 2003 the sergeants and lieutenants split from the patrolman’s local and Deborah was elected President of NEPBA Local 96, a position which she holds today. Deborah is an instructor with the Municipal Police Training Committee instructing in the areas of Standard Field Sobriety Training (SFST) and Drug Recognition Expert (DRE). Deborah was a member of the 1994 graduating class from Western New England College in Springfield, MA with a Bachelor of Science in Law Enforcement degree and a 1998 graduate of Southern New England School of Law in Dartmouth, MA. She was admitted to the MA bar in 1999. The Executive Committee of the New England Police Benevolent Association, Inc. has selected the Reverend Paul T. Clifford to serve as the New England PBA’s first Chaplain. Fr. Clifford is well-known and well-respected in police circles and is also the Chaplain for the Hopkinton (MA) Police and the Massachusetts Police Association (MPA). Fr. Clifford is a Catholic priest of the Archdiocese of Boston. He was born and raised in Norwood, MA and attended Xaverian Brothers High School, graduating in 1982. He was ordained a Catholic priest in 1992 and his first assignment was to St. Joseph’s Parish in Wakefield, MA. In 1997, he was transferred to Ste. Marguerite d’Youville Parish in Dracut, MA. “Father Paul” as he is often known formally began his work as a chaplain in the year 2000 with the Greater Lowell Critical Incident Stress Team and, later that year, was invited to serve as Chaplain for the Massachusetts Police Association. From 2002-2006 he served as chaplain of the Dracut Police Department (New England PBA Local 4). In July of 2006 he was transferred to St. John’s in Hopkinton, MA. Keith Sullivan is a retired corrections officer from the Middlesex Sheriff’s Office. He was a long time active union member and former member of the Local’s Executive Board for several years including serving as the secretary and eventually president for the approximate 500 member Local. Upon his retirement in January 0f 2013 he was hired by the NEPBA to serve as the Locals business agent and representative. NEPBA in 2007. The Middlesex Correction Officers Association Local 500 was the first corrections Local to join the outstanding organizations. His hard work and commitment to his Local and to the NEPBA was recognized by the NEPBA Executive Committee and in October 2008 he was appointed to the position of recording Secretary for the NEPBA. He was then reelected to that position in 2011 and again in 2015 at the National Convention and is currently serving in that capacity. Keith has been an outspoken advocate with regards to the positive effect that the all-inclusive law enforcement organization has made not only for his Local but for others as well. He is involved and participates in all aspects of the Locals he represents including investigatory interviews, disciplinary hearings, grievance/arbitrations proceedings, bargaining and negotiating collective bargaining agreements. He serves as Chairman on the NEPBA By-Law Committee and also serves on the NEPBA’s Massachusetts Legislative Committee. Keith holds an Associate’s degree in Liberal Studies from Middlesex Community College and is currently enrolled at the University of Massachusetts at Lowell, Bachelors of Science program in Criminal Justice. He is also a licensed MA construction supervisor. Keith is a former wrestling coach for Wilmington High School and prior to that started the Tewksbury Junior High School Wrestling program for former Tewksbury Police Chief Al Donovan. A former wrestler himself, he is a proud member of the Tewksbury High Division 2 State Championship Wrestling team. He also completed in Wrestling at both the 1988 Jr. Olympics held in Iowa and at the 1995 World Police and Fire Games that were held in Melbourne, Australia. Keith has been married to his lovely wife Tania since 1999 and together they have a daughter named Annemarie and a son name Jonathan. True to his roots, he has remained a Tewksbury resident all of his life.